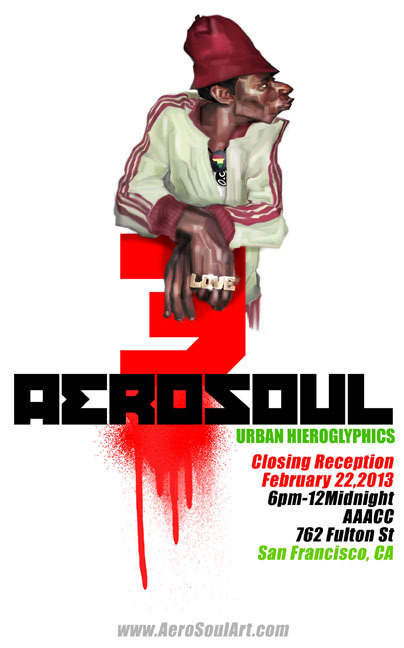 AeroSoul 3: "From Khemet 2 Aztlan"
This Year AeroSoul 3 Reaches back to the land of Origins, Africa. Our 6 month Exhibit will feature Senegalese Artist"Docta", well known in Africa for his style as well as his social activism dealing with health, African self determination as well as Cultural expression. AeroSoul will be presenting a special Award for Docta's work and perseverance in his pioneering role for Spray Art culture in Africa. 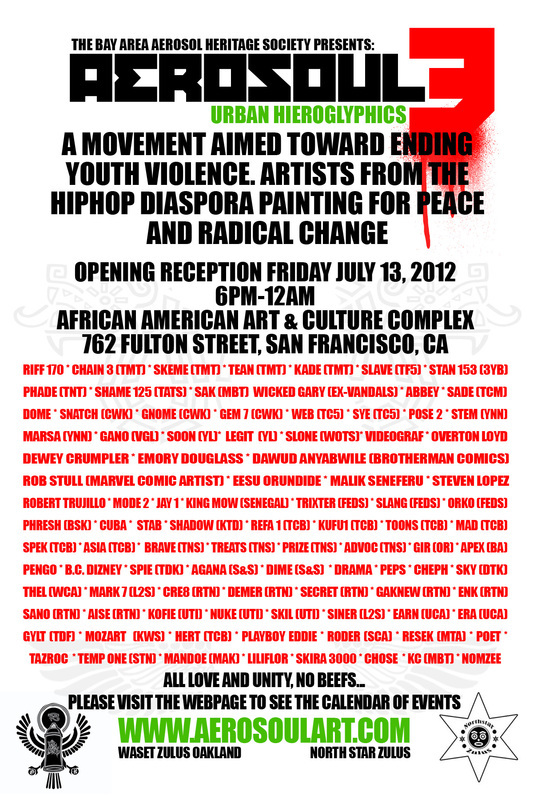 Join us July 13th in San Francisco at AeroSoul 3 as we Salute the Movement in the Mother Land. Peep the New AeroSoul Trailer...So Fresh! Video Created by Chocolate Beats Media.